Notes: I had a walk in Doddinghurst this afternoon. It was raining and rather grim. 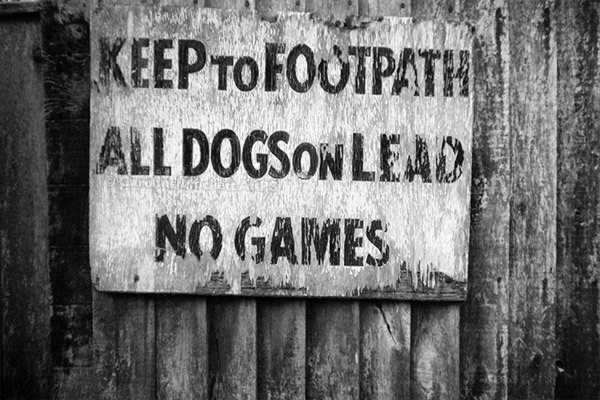 I spotted this sign close to the start of a footpath – seems like they might just have well written NO FUN.